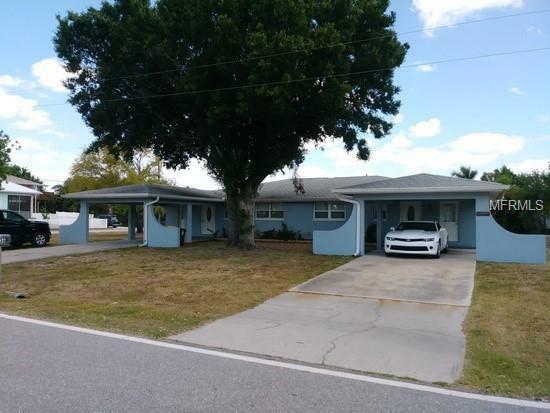 " Possible Owner Financing" Investment opportunity in Punta Gorda and its walking distance from downtown. 2 bedrooms 2 baths on each side. Each unit is approx. 1114 sq ft with upgraded kitchen, appliances, bathrooms and tile throughout. Per owner A/C has also been upgraded.Lease one side and live in the other. Owner Financing 3-5 years . Priced to sell, call today before its too late!